Slow braised leg of lamb in red wine and rosemary cooked until tender and falling apart. Served with oven roasted root veggies for an easy and hearty meal. 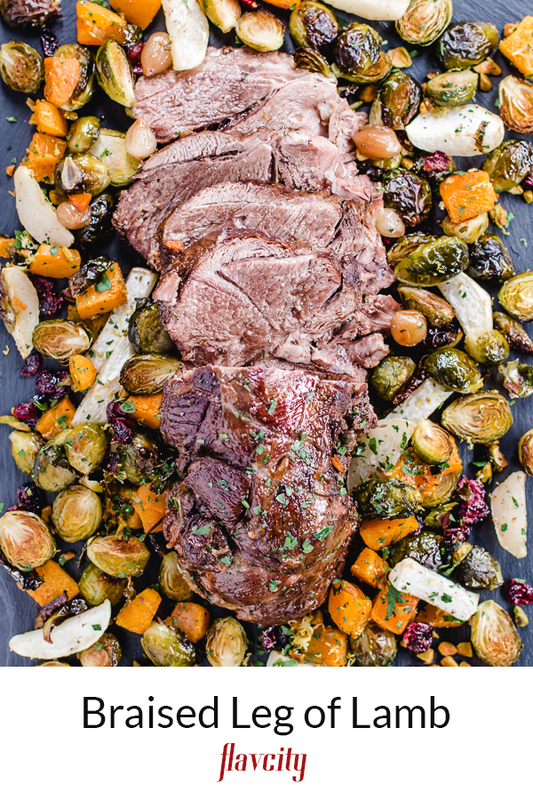 If you are looking for an easy roast leg of lamb recipe to make for Easter, then you have to try this one. The leg of lamb slow braises for a few hours until tender and falling apart. Rosemary, tomato paste, wine, and veggies give the lamb so much flavor, it’s the perfect one pot meal. 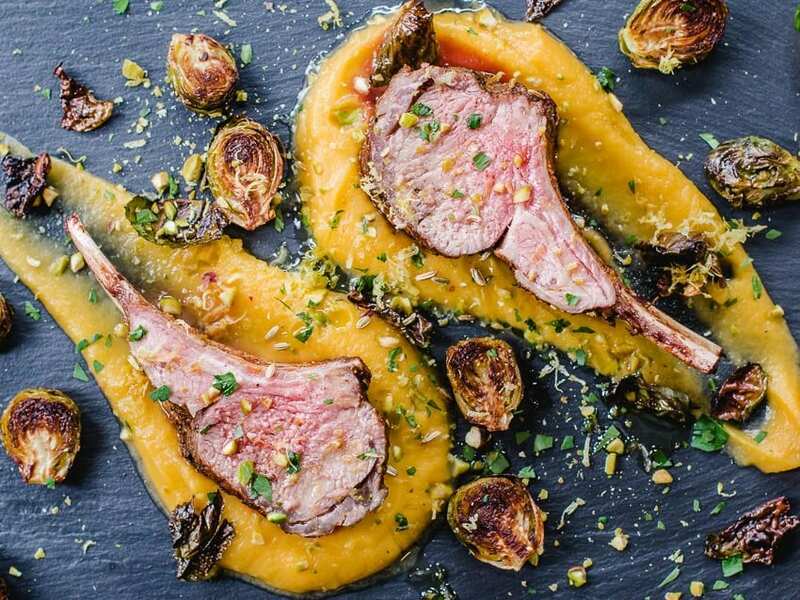 While the lamb is braising, you can roast some root veggies in a hot oven and finish them with pistachios and lemon zest to make the perfect side dish. The most important step is t make sure the lamb is room temperature, that way it will cook evenly. So let the leg of lamb sit out for 45-60 minutes before cooking. To add extra flavor to the lamb, sear it in a hot dutch oven on all sides. This will take about 10 minutes, but it’s worth it. Remove the lamb from the pot and then add the pearl onions, garlic, rosemary, and carrots and cook for 10 minutes. Add some red wine to the pot and let it reduce then put the leg of lamb back in the pot along with enough beef stock to cover half way up the side of the lamb. Add a bay leaf to the pot, cover, and cook in a 325F oven for 2-2.5 hours. You will need to flip the lamb halfway, you know the meat is ready when it’s fork tender. 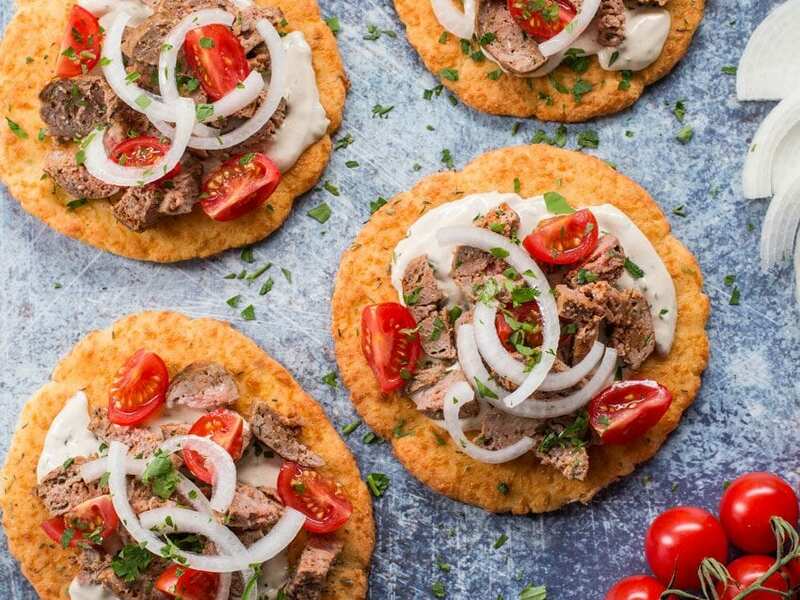 What To Serve With Leg Of Lamb? I like to serve oven roasted winter veggies with roast leg of lamb, it makes for the ultimate comfort food. Pre-heat oven to 450F and chop the brussels sprouts, butternut squash, and turnips. Toss with some oil, season with salt and pepper, and roast in the oven for 30-35 minutes. You know the veggies are ready when the edges are crispy and a knife pierces them easily. Remove the veggies from the oven and toss with some chopped pistachios, dried cranberries, and lemon zest. Allow the roast leg of lamb to sit for 20 minutes before serving, this will make the meat more tender. Then serve the lamb with the roasted veggies and leftover pan sauce if desired. 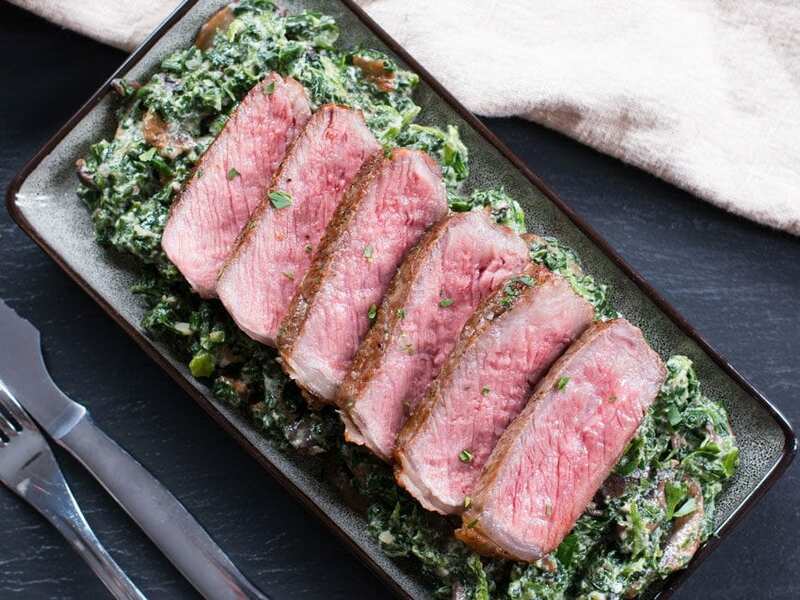 This leg of lamb recipe is easy to make and perfect to feed a crowd without breaking a sweat. Bring the leg of lamb to room temperature and pre-heat oven to 325 F. Generously season lamb with salt on all sides and a few cracks of pepper. Pre-heat a large dutch oven over medium-high heat with 1 tablespoon of oil. Sear the lamb on all sides until well browned, about 10 minutes total. Lower the heat to medium and add the onions, carrots, garlic, rosemary, ½ teaspoon salt, and a few cracks of pepper. Cook for 7 minutes, stirring often. Add the tomato paste and cook another 2 minutes then add the wine. Cook until almost all of the wine has reduced then add the lamb back to the pot along with enough stock to come just over half way up the lamb. Add the bay leaf to the pot and bring the liquid to a boil, place the lid on, and cook in the oven for 2 hours, turning the lamb over after 1 hour. After 2 hours, remove the pot from the oven and place it on the stove top over medium-low heat, flip lamb over again. Raise the temperature of the oven to 450 F. Add the squash, brussels sprouts, and turnips to a sheet pan and season with 1-2 tablespoons oil, ¾ teaspoon salt, and a few cracks of pepper. Mix well, arrange in one layer, and cook in the oven for 30-35 minutes, or until the veggies a cooked through and browned. Remove from oven and add the lemon zest, pistachios, and cranberries. Set aside. The lamb will be ready by the time the veggies are done. 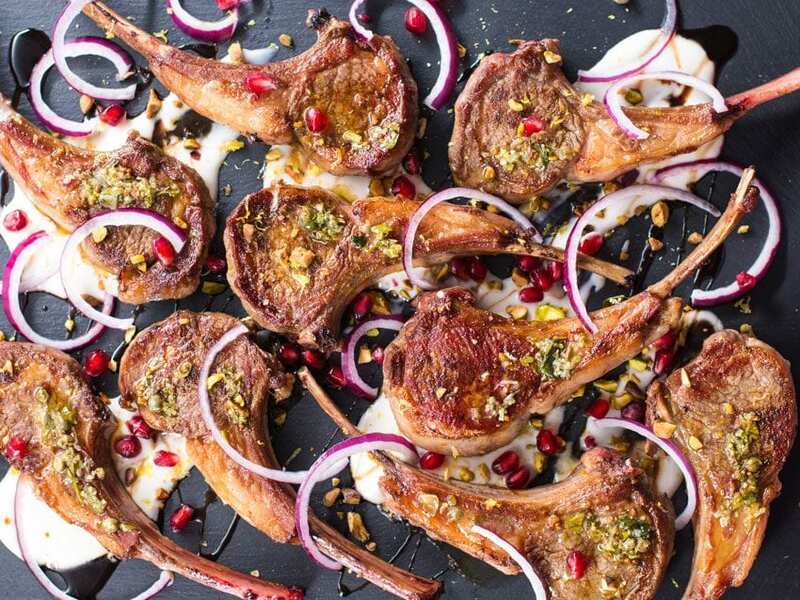 If you are not sure, use two forks and see if the lamb meat pulls apart easily. Take the pot off the heat and allow the lamb to rest in the juices for 10-20 minutes. 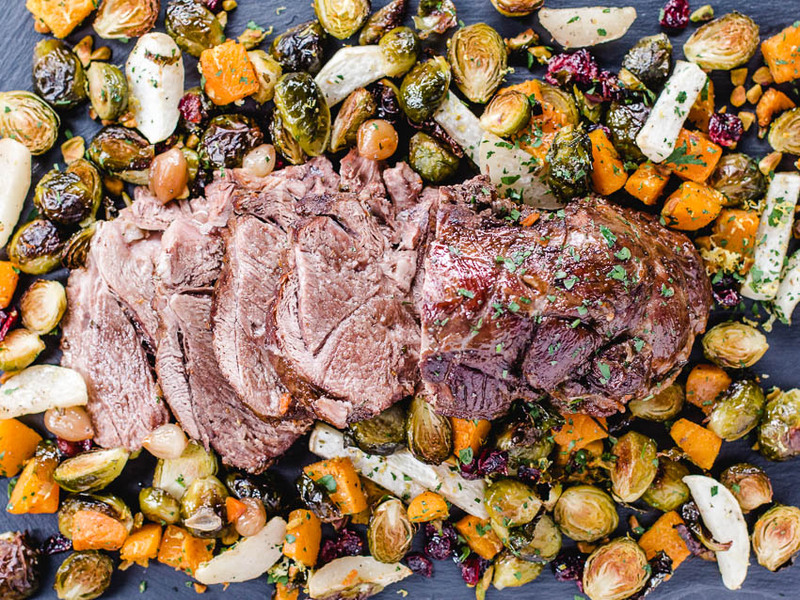 Carve the lamb and serve with the veggies. You can re-heat the veggies in the oven if needed and use some of the cooking liquid to spoon on the lamb. Enjoy!